Over the weekend, I was able to visit my sister-in-law, Hannah, and her husband, Ken. 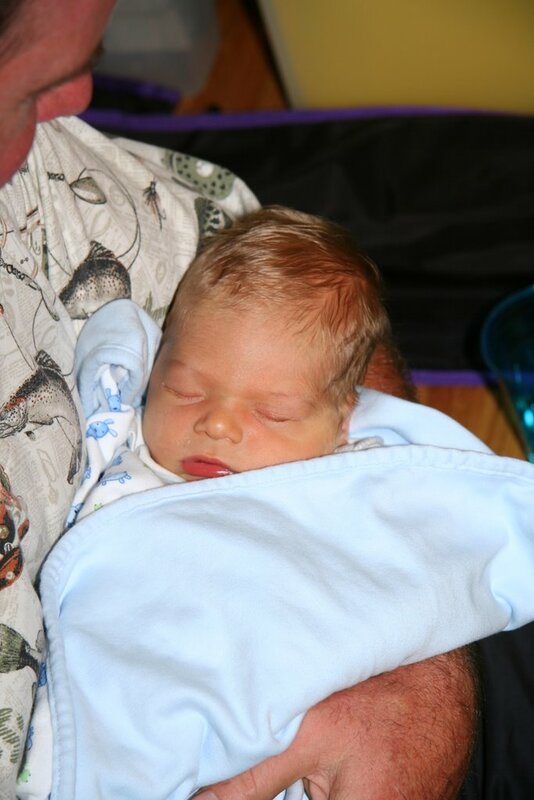 Last Tuesday morning they were blessed with the arrival of their first child, Colton Montgomery. Colton was born at Baptist Hospital in the early morning hours of August 22, barely missing sharing a birthday with his 4-year-old cousin, Rinnah. Sabbath was the first opportunity I'd had to visit my newest nephew. To the left is a picture of Ben holding Colton. Ben is Hannah's older brother. To the right, we have David, Ben's 5 year old son, getting aquainted with Colton. David has a little sister and 2 girl cousins, so he's very excited to have a boy cousin that he can play with. 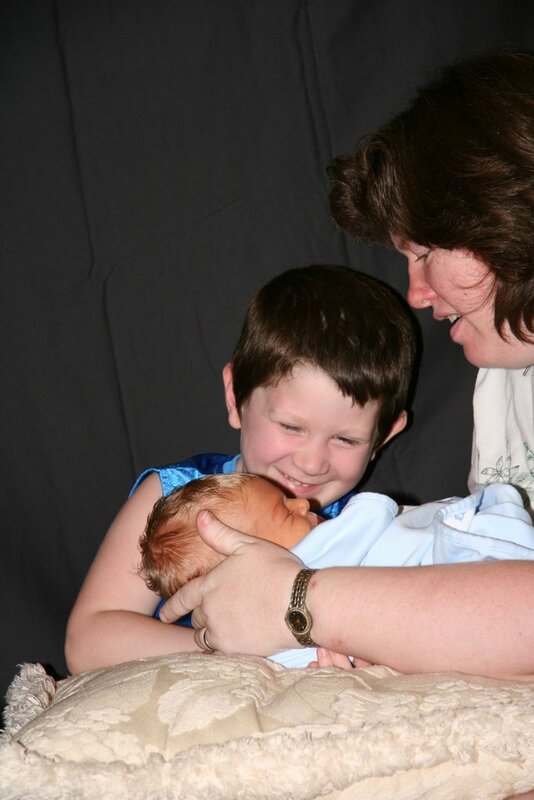 David's mom, Beth, is helping David hold Colton. 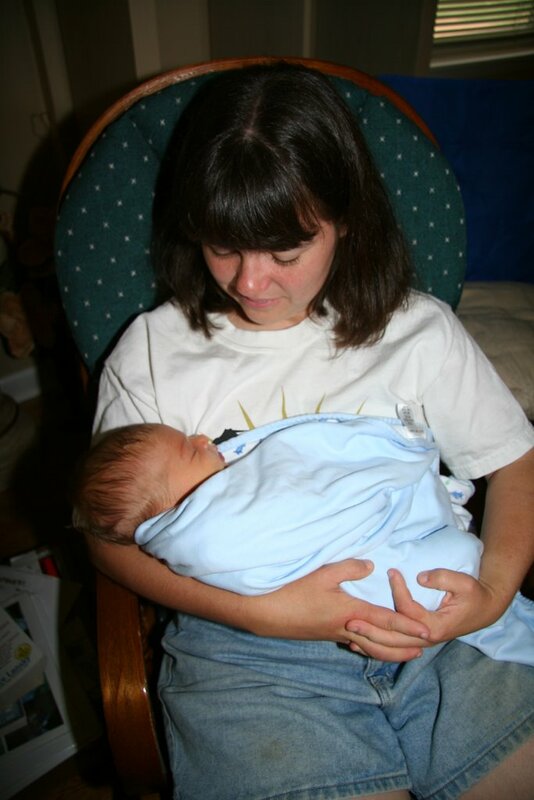 And back to the left, this was my first opportunity to hold Colton. I can't wait to watch him grow up and develop and find out who he is and who he will be. I adore my nieces and nephews and enjoy spending lots of time with them. I wonder if any of them will become endurance riders like their Aunt April?